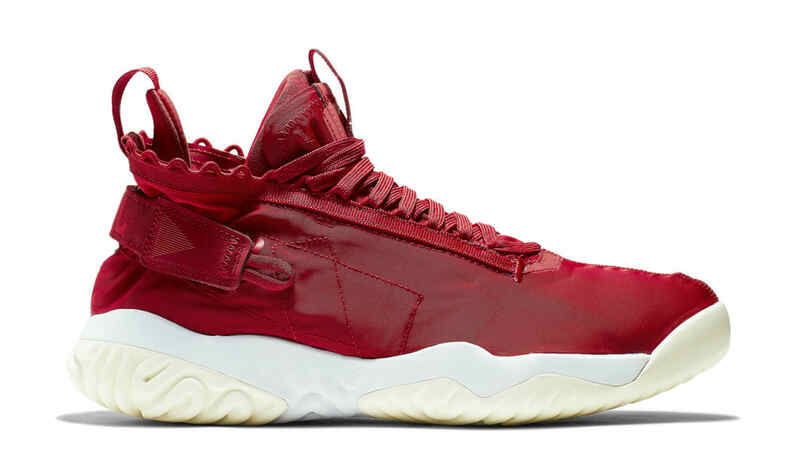 This iteration of the Jordan Proto-React will don a vibrant red nylon upper that features an adjustable strap at the heel giving each wearer a personalized fit. Capping off the look is a contrasting white React-cushioning tooling underneath. Release date is Apr. 1, 2019 at a retail price of $150.